We're so proud of Luisa A. Igloria​ , who has won 2nd place for poetry in the 2018 Bridgport Prize, an international creative writing competition, and was judged this year by Daljit Nagra, Monica Ali, and Kamila Shamsie. 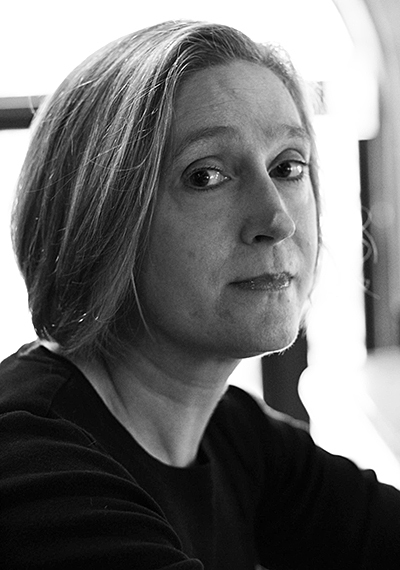 Luisa is the author of two books published by Phoenicia: "The Buddha Wonders if She is Having a Midlife Crisis" (2018) and "Night Willow" (2014). Congratulations, Luisa!! Coming in March, and Now Available for Preorder! Now available for pre-order at a special price through March 20, 2018. 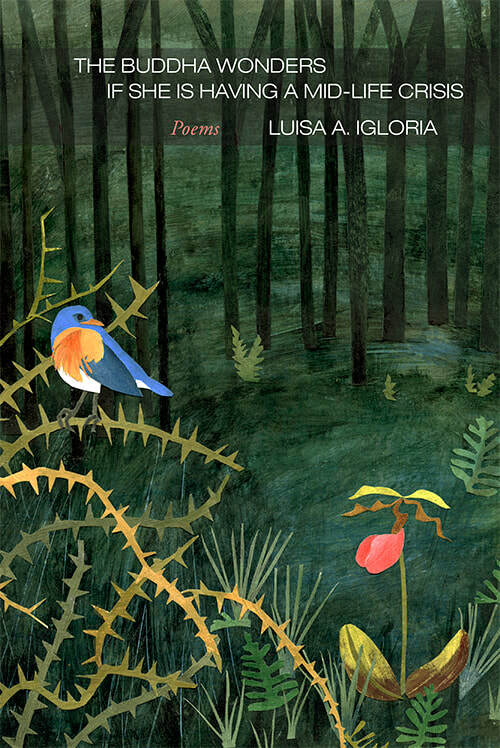 "Reading Luisa A. Igloria’s poems is like opening doors within doors within doors. These doors give access to the mind, the imagination, into lush and lyric worlds. ...Poem after poem reveals the Buddha. S/he is sneaky and coy. S/he peeks behind every stanza, meditating at every end-stopped line, her robes overflowing in every layer of images. And in the end, after we’ve taken in every poem, s/he finds a place in the center of us." -- from the foreword by Ira Sukrungruang, author of Southside Buddhist, Talk Thai: The Adventures of Buddhist Boy, and the forthcoming Buddha's Dog and other meditations, and professor at the University of South Florida. For full information and to place a pre-order, please click the image or links, and sign up for our newsletter to be eligible for one of two free copies to be given away in March. Phoenicia Publishing is delighted to announce that a new book of poems by Luisa A. Igloria, The Buddha Wonders if She is Having a Mid-life Crisis, will be published in March 2018. This is a collection of 53 "Buddha poems" that Luisa wrote in early 2016, many of which have appeared online at Via Negativa, where she has posted a new poem every day since November 2010. The author says these poems began from the premise that "if the Buddha in me can greet the Buddha in you," then the aspiration to transcendence is a daily work in progress. She writes about the constant seesaw between our appetite for worldly things and the hunger for deeper permanence; about our human imperfections and foibles; and our longing to be touched by grace, if not love and absolution, in this lifetime. There will be a pre-order period a month before publication, with discounted pricing and special offers for Phoenicia newsletter subscribers, so please be sure to sign up if you aren't already on our mailing list! 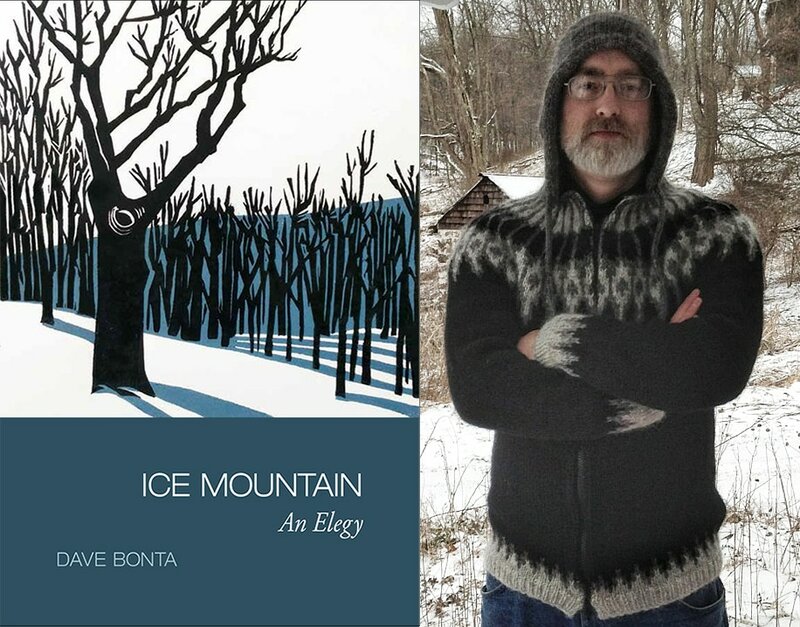 Phoenicia Publishing is proud to announce that an excerpt, "February," from Dave Bonta's Ice Mountain: An Elegy, is our nomination for the 2017 Pushcart Prize. Dave's book was recently named a finalist (one of three) in the poetry and fiction category of the 2017 Banff Mountain Book Awards. 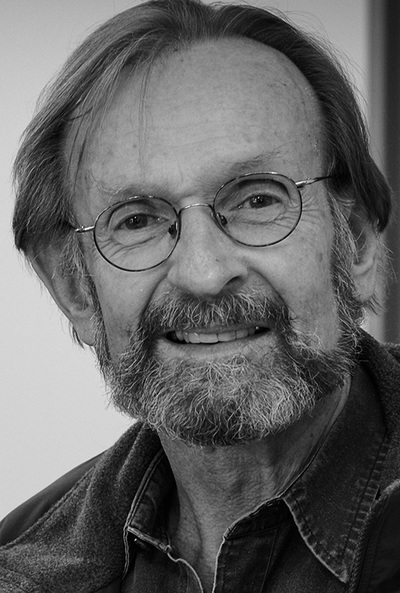 As editors of qarrtsiluni online literary magazine, Dave and I nominated many poets and writers for this award over the years, so I am delighted to be able to nominate Dave himself for this honor this year. Congratulations! 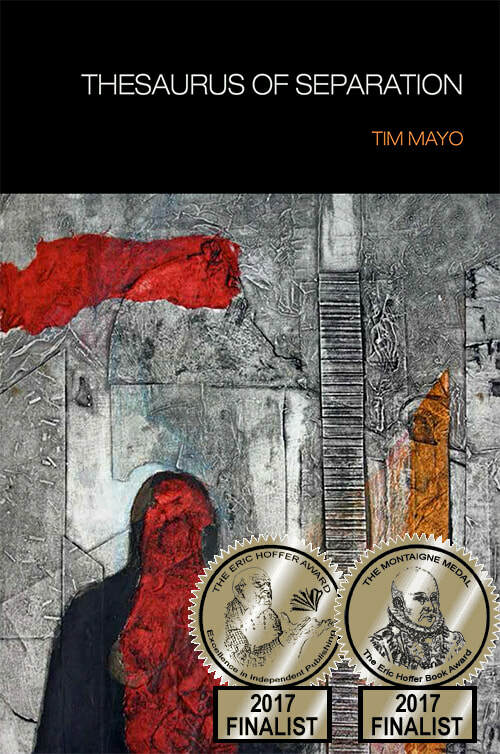 Honors for Tim Mayo's "Thesaurus of Separation"
We're delighted to share the excellent news that Tim Mayo's Thesaurus of Separation has been named a finalist for both the 2017 Eric Hoffer Award and the Montaigne Medal. The Eric Hoffer Awards are one of the largest international book awards for small, academic, and independent presses. Within the larger umbrella of the Eric Hoffer Awards, all finalists are also considered for the Montaigne Medal, given in honor of the great French philosopher Michel de Montaigne to the "most thoughtful" books -- those that "either illuminate, progress, or redirect thought." We certainly agree with that assessment of Tim Mayo's book, and are proud that Thesaurus of Separation was chosen for this distinction. Heartiest congratulations to Tim Mayo on these awards! One of the great pleasures of working with our authors here at Phoenicia is that all of them, without exception, are more than just writers: they all have passionate interests that make them multi-dimensional people, and, of course, end up making their writing far more interesting. Dave Bonta has been observing the natural world since early childhood, and he's one of the best-read people I know. Whether he is leading a nature walk, being an environmental activist, explaining the spring mating of wood frogs, discussing politics, or studying the fermentation process for home-brewed beer, he's articulate, amusing, well-informed, and often unconventional. That makes him a whole lot of fun to talk to, as well as read. Central Pennsylvania radio host Jason Crane recently interviewed Dave about his new book, Ice Mountain: An Elegy. In this excellent, wide-ranging twenty-minute conversation, they discuss Dave's very specific way of observing and writing about nature; the difficulties of choosing "green" energy sources; and a whole lot more -- hope you'll listen!